of your employees is legally entitled to work in Australia? 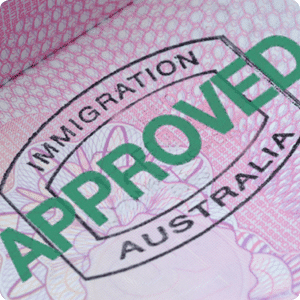 In partnership with Certex International, The Employee Mobility Institute ( TEMI ) are pleased to offer SME’s throughout Australia access to independent Immigration Risk Assessment and Certification Programs. Measured against a Standard registered with the Joint Accreditation System of Australia and New Zealand (JAS-ANZ) as agreed between joint governments in respect to appropriate compliance records, policies, procedures and practices, these services will help protect you and your business. Take your audit findings to your own Registered Migration Agent or Immigration Adviser and they will assist you with resolving any identified problems. Fair Work Ombudsman inspector to knock on your office door? Do you know what your lawful employer migration obligations are? Do you have appropriate internal policies, procedures and training in place to manage immigration compliance? Certex have engaged with key government regulators, industry and employer stakeholders and leading migration law advisers developing two unique compliance assessment services. These services can help establish your corporate compliance status and identify potential risks in relation to managing lawful employer obligations, work permission and visa conditions of foreign employees. A focused assessment of the immigration compliance risks facing your business, depending on the number of employees and contractors. This review is a sample of worker records against current migration legislative and subsequent government policy requirements. Certex review company personnel records for all workers: Australian, foreign and contractors. You will receive a full audit report on findings with any risks and breaches prioritised. A more extensive audit of your policies, procedures and practices, as well as your worker records to assess how well your systems manage the immigration compliance requirements. This includes Certification against the Standard developed in consultation with government regulators and key industry stakeholders. Certex review your policies, procedures and records. You receive a certificate and logos which can be used for website and marketing purposes. As for the Risk Assessment review component, you will receive a full audit report on findings and recommendation for Certification. It’s time for a Health Check with Certex! Call For A Confidential No Obligation Discussion Today!